Thanks for the comments on my blog! I'll try to post a closer shot of the afghan, though I wish I'd gotten close-ups of each of our squares. Thanks for the comment on my bog too! 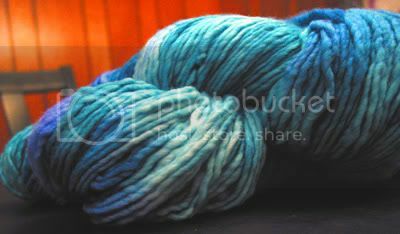 And that handpainted.com yarn looks gorgeous! Gorgeous color on the yarn! I must get some! 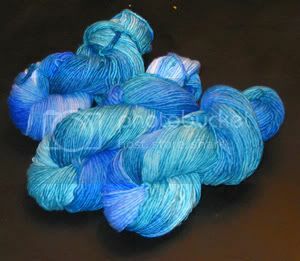 They have some of the most fun colors and I'm thrilled to hear it's soft and not scratchy! And your Mother Bear came out great. 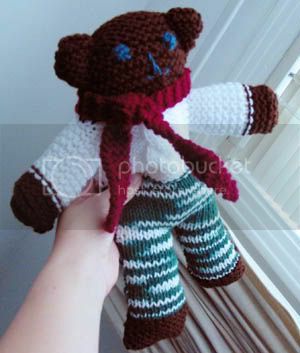 I got sidetracked from sending in for my pattern so I'm still waiting to get it so I can try to make one.